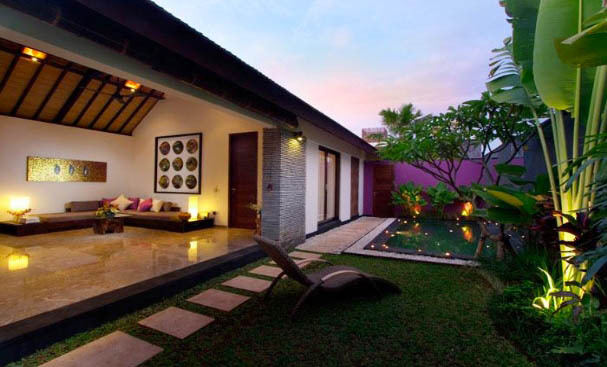 The luxury villa Purple is a part of a complex that includes 4 villas. 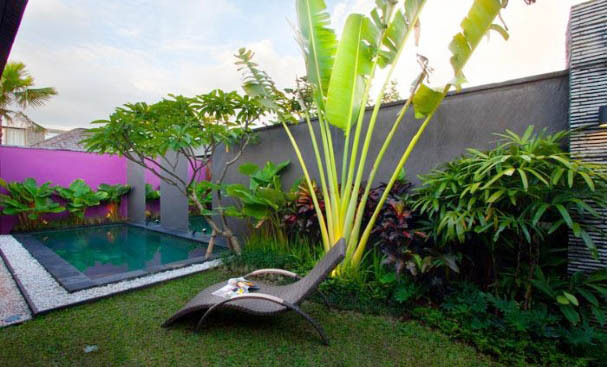 It is located in the heart of Seminyak, and has an ideal location to enjoy the various activities offered in Bali. 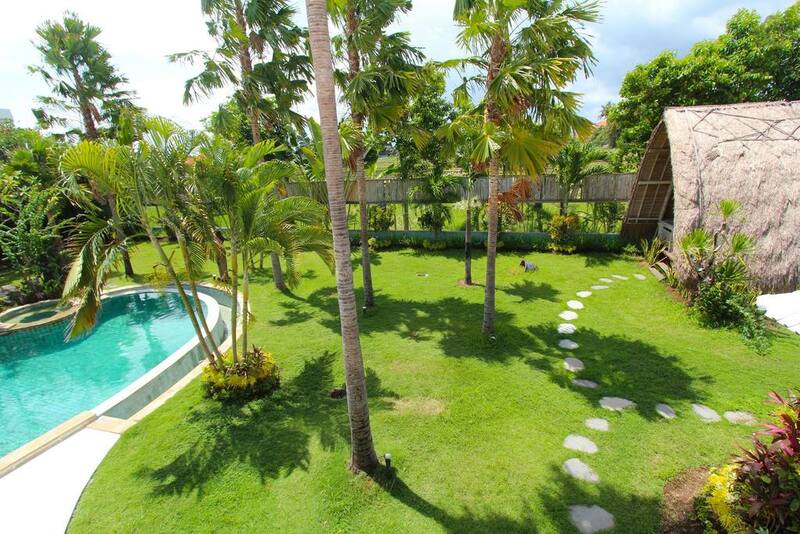 Rent this villa is perfect for a couple or a single person. 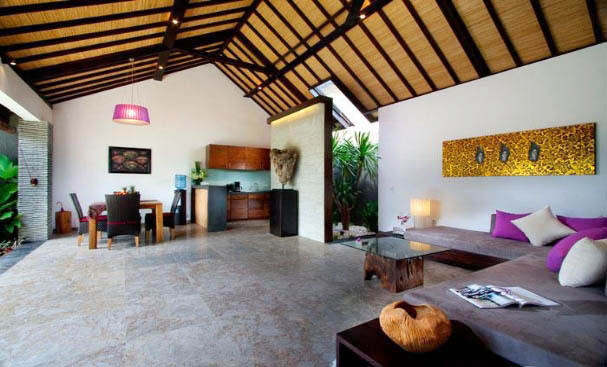 The rental of this luxury villa in Bali will allow you to enjoy various activities nearby and also many restaurants, bars and clubs that are located around the property. 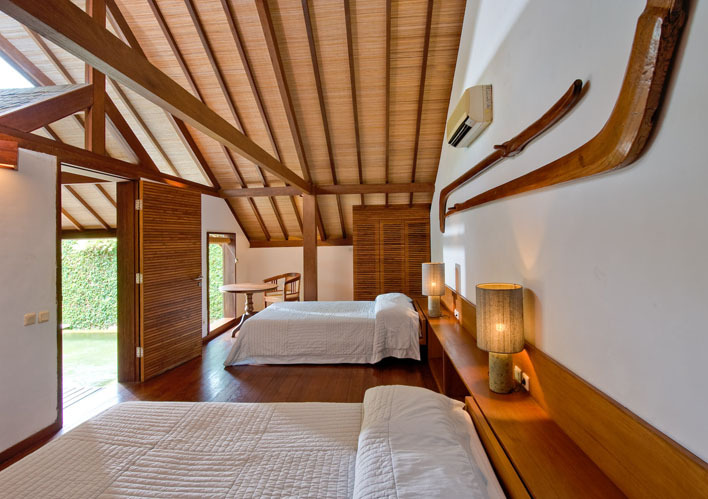 But the calm of this house will delight you as much. 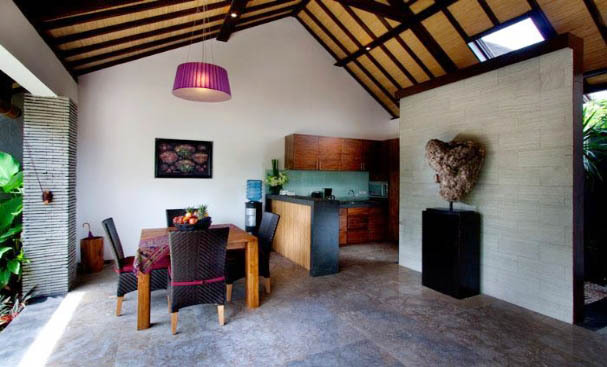 This villa for rent in Bali includes a bedroom with a king size bed, a en-suite bathroom, a swimming pool in a tropical garden, a semi-open living room, a fully equipped kitchen, a dining table for up to 4 people. 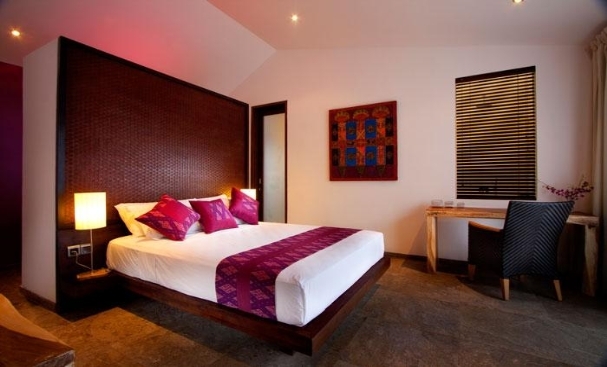 The room has air conditioning and a TV and its bathroom has a view of the pool and garden. 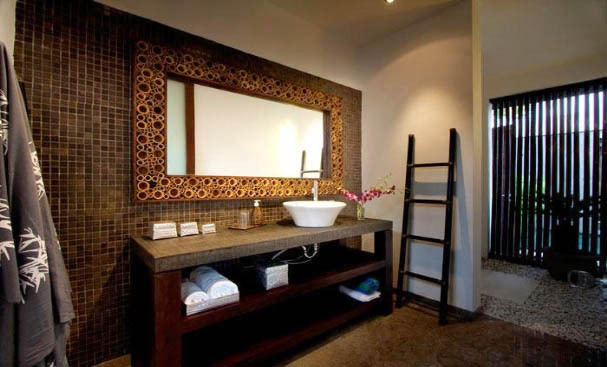 In this rental luxury is everywhere; the materials that have been selected are of high quality, such as marble, granite and black bamboo. 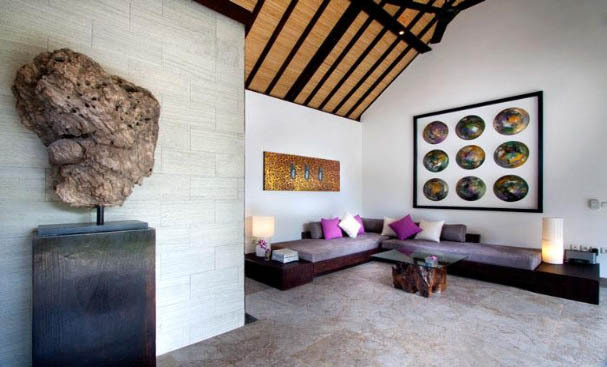 Rent this villa in Bali and you will enjoy Bali island safely, indeed a security guard will be on the property each night. 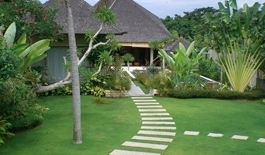 If you wish, and on request you will be able to have breakfast at your villa and enjoy the morning sun at the pool. 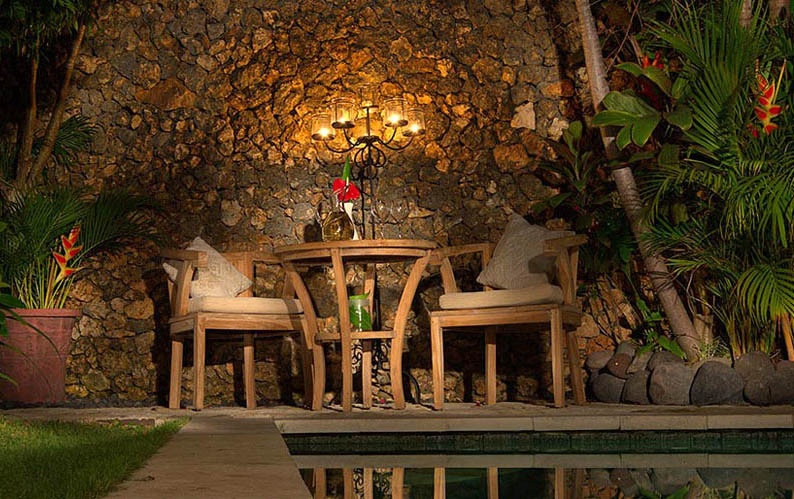 And Bali Je t'aime, a Bali villa rentals can organize activities, tours or even transport so that you are far from any constraint and to make your holiday memorable.